Bay windows can really add architectural interest to a home. But finding the right shades for bay windows can be tricky because of their shape and size. So which shades can highlight the beauty of your bay window while also allowing for light control and privacy? Sheers are a gorgeous choice for bay windows because they really accentuate your views while softly filtering natural light. 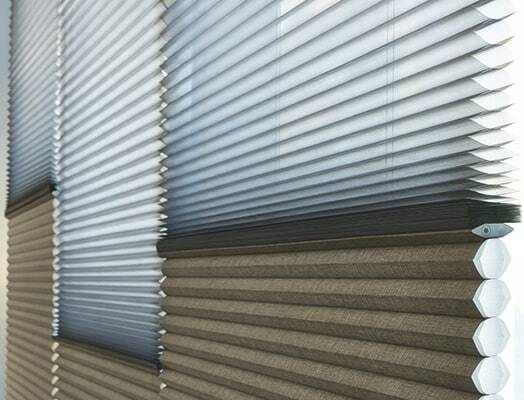 Pirouette® window shadings, for instance, are designed with soft, horizontal fabric vanes attached to a single sheer backing. The vanes can be flattened for complete privacy or opened to any position for optimal light control. 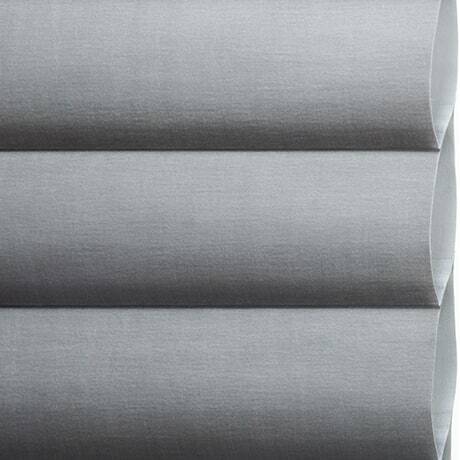 Another option is Silhouette® window shadings featuring S-shaped vanes that appear to magically float between two sheers. When open, they create a soft, warm glow, while the rear sheer offers daytime privacy. Made from natural materials like bamboo, grasses and reeds, woven wood shades can really enhance the look of a bay window. You can use them alone or with a room-darkening liner. 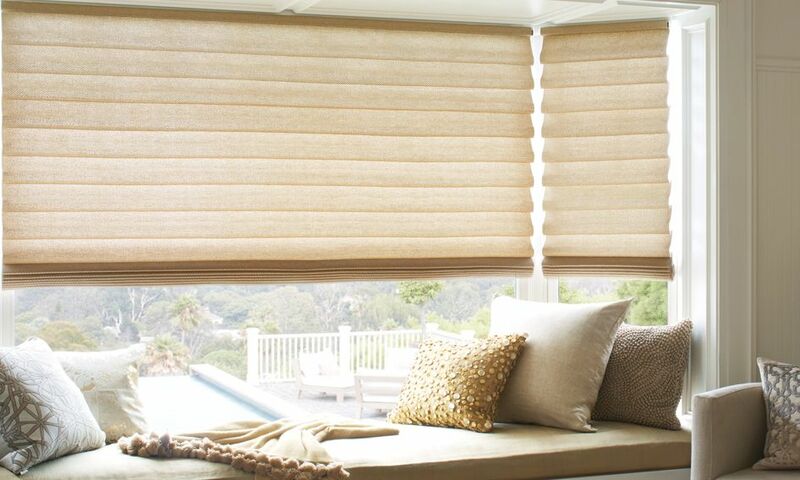 Provenance​® Woven Wood Shades are also available with the Top-Down/Bottom-Up design option for more light control. Nice thing, too, is that woven wood shades work well with almost any décor, from modern to Mediterranean. They’re a very eco-friendly treatment as well. 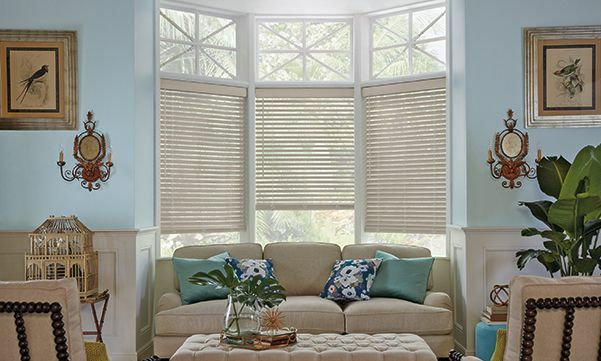 Wood blinds add a warm, inviting feel to bay windows. Parkland​® wood blinds, for example, are handcrafted from genuine hardwood and come in a variety of finishes, slat sizes and decorative tapes. 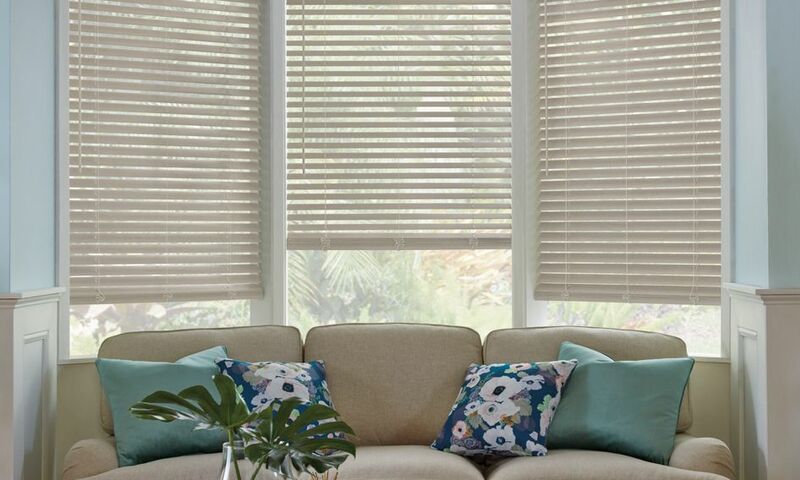 Or, you could opt for EverWood​® alternative wood blinds that feature realistic grain patterns, yet are guaranteed against fading, yellowing, warping or bowing—something to think about if you have a lot of sun coming through your bay window. Your bay window is already an extraordinary feature. Roman shades combine the softness of a drapery with the clean, simple style of shades to highlight your bay window even more. 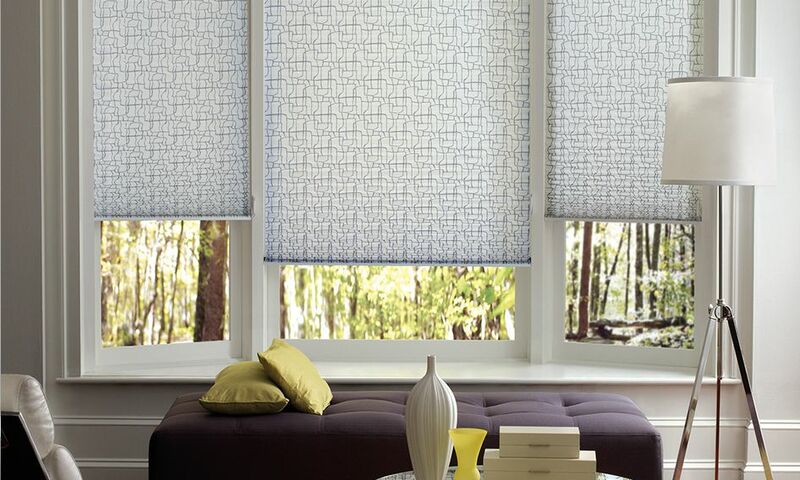 Vignette® Modern Roman Shades with consistent folds and no exposed rear cords stay neatly pressed and wrinkle free. 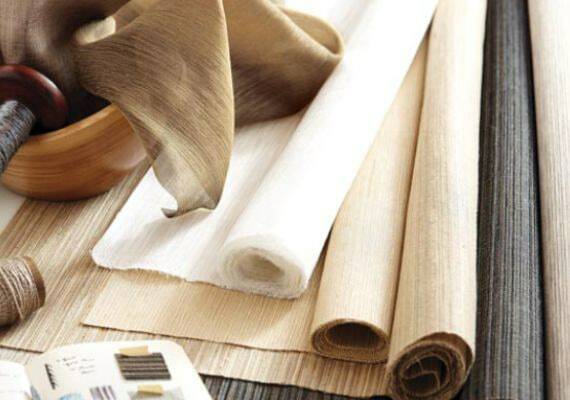 Or try Design Studio™ Roman Shades that offer more than 250 fabrics in a variety of designs, textures, stripes and solids. You can even purchase these fabrics by the yard to match your side treatments, pillows, bedding and coordinated accessories. 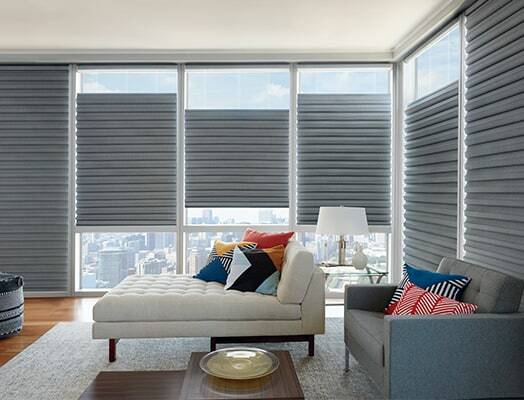 With a crisp, clean look, pleated shades come in many colors, patterns and opacities. They allow for a full view out your bay window, since the folds stack neatly at the top when raised. 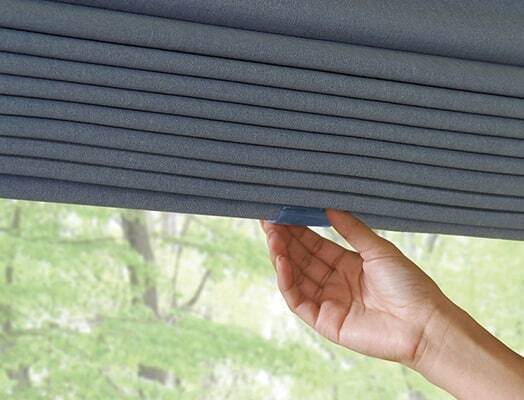 Some pleated shades come with a Duolite​® design option so you can pair two fabrics with different opacity levels. And like the woven wood shades, an optional Top-Down/Bottom-Up operating system lets you operate your shades from the top down or bottom up. When choosing a window treatment for bay windows, it’s important to consider how much sun is coming through as well as the size and shape of the windows. Here are just a few of our favorite bay window treatments. 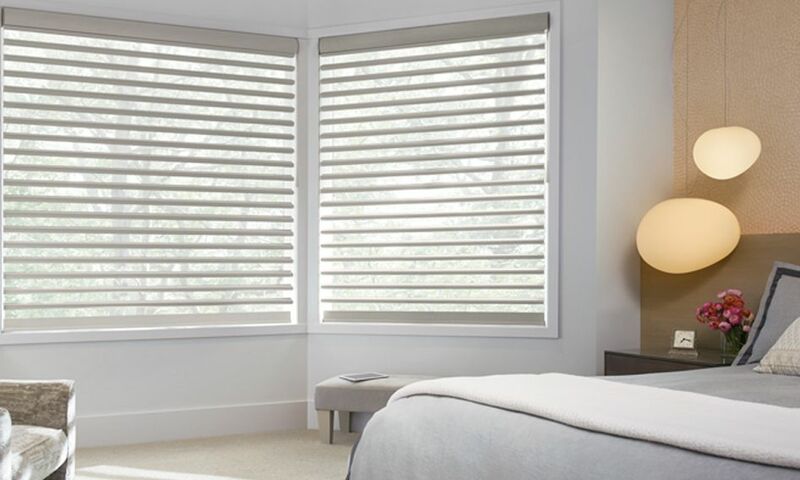 Featuring the Signature S-Vane™ that looks like it’s floating between two sheers, Silhouette window shadings softly diffuse light into the room while providing up to 88% UV protection. And with the Duolite® option, you can combine a translucent shade with a room-darkening shade for more ways to control light. 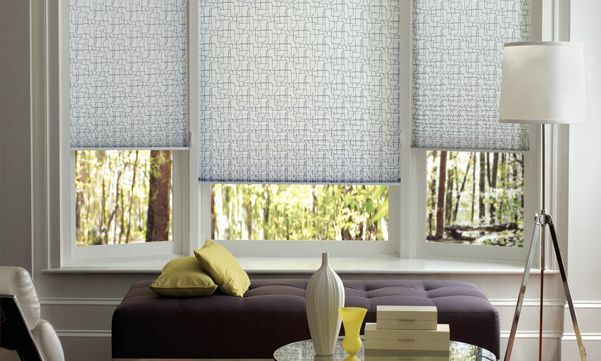 Designed with soft, horizontal fabric vanes connected to a single sheer backing, Pirouette window shadings offer infinite combinations of light control, view-through and privacy. The sheer back panel blocks up to 81% of UV rays with the vanes open and 99% with the vanes closed. 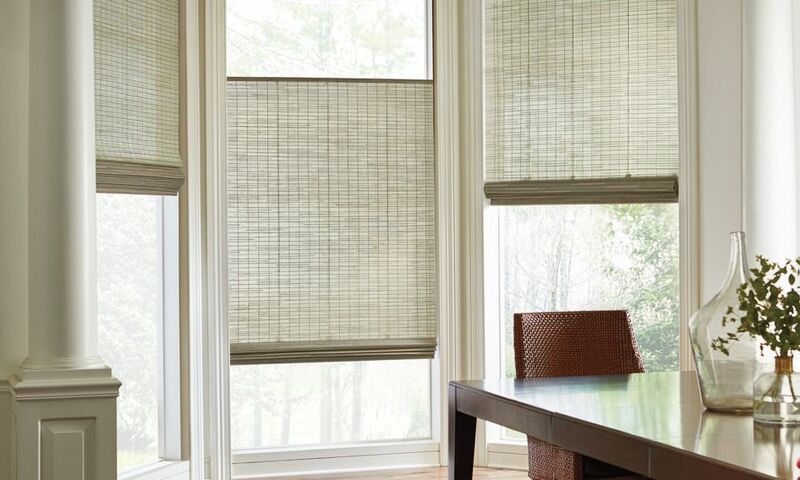 Made with natural fibers like reeds, bamboo, grasses and natural woods, Provenance Woven Wood Shades help bring the feeling of the outdoors in. 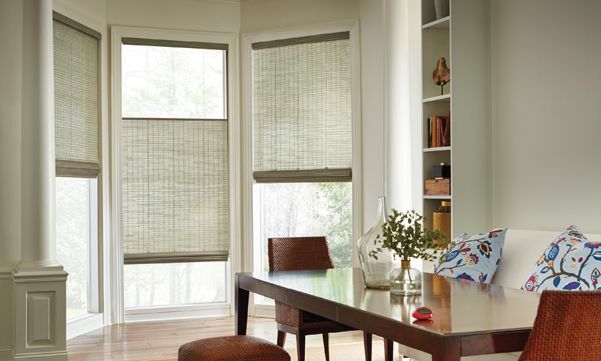 From gorgeous textures to elegant weaves, Provenance shades add an organic flair to the room while beautifully diffusing sunlight. 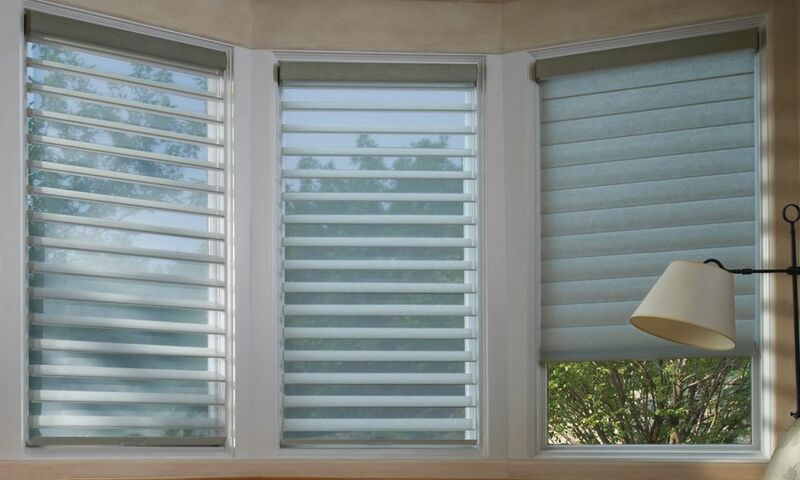 The soft, luxurious folds and clean look of Vignette Modern Roman shades work really well with bay windows. 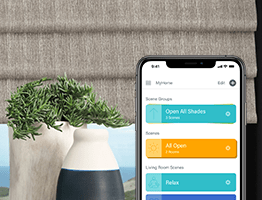 And with the Duolite® dual-opacity option, you can combine a light-filtering, flat-fold shade with a room-darkening liner to achieve varying levels of light control and privacy. For a rich, warm feel, Parkland wood blinds are crafted from genuine hardwood and available in a wide range of finishes, slat sizes, decorative tapes and specialty shapes, so you can create the perfect style. Optional handcrafted wood cornices add the perfect touch. 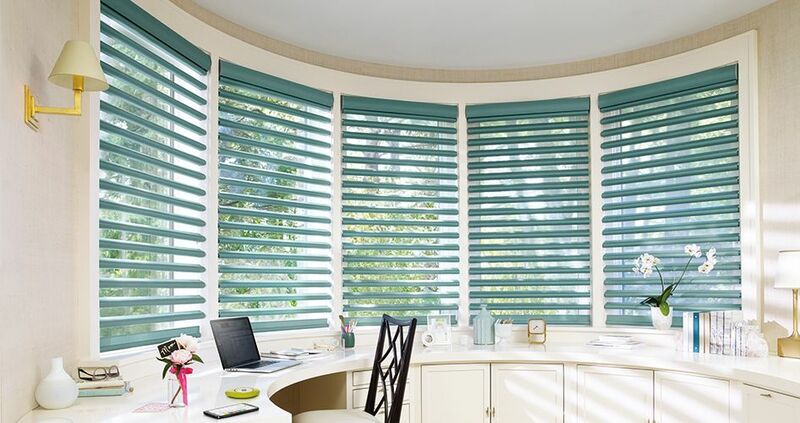 When fully raised, Pleated Shades beautifully showcase the view out your bay window, since the folds stack neatly at the top. They come in bold, modern colors, textures and patterns, ranging from blue to orange. And with the Duolite® option, you can combine two fabrics on a single shade.